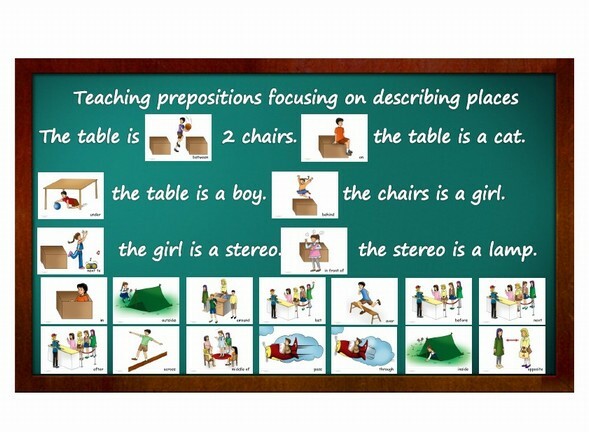 Introduce preposition vocabulary to students and ask random questions by using items around the classroom. Where is the desk? What is between the door and the board? Who is sitting next to Adam? e.g.. Students should answer: The desk is in front of the board. Between the board and the door is a bin. Jack is sitting next to Adam e.g..
For more advanced students: Let students draw a room with furniture. One student explains his room to the other student, who has to draw the room following explanations from the first student. Afterwards students compare their drawings.